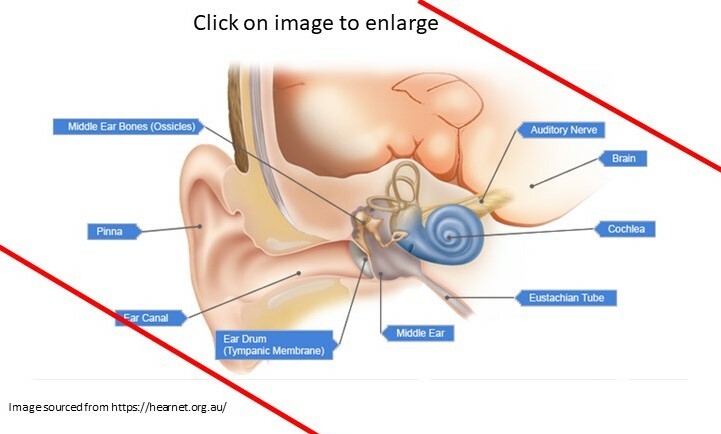 Conductive hearing loss causes sound to be attenuated. If permanent with no medical or surgical intervention possible, hearing devices (conventional hearing aids or bone anchored devices) are usually highly effective in overcoming the attenuation effect. Children with temporary / fluctuating conductive hearing loss due to persistent otitis media are risk for language, behaviour and learning difficulties. Compensation in the form of classroom FM system or counselling of teachers to overcome the hearing loss should be followed up. 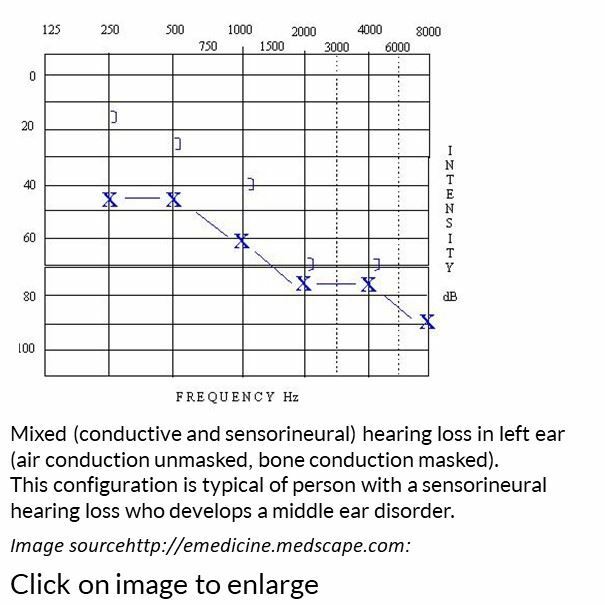 Conductive hearing loss will be shown by a difference between hearing tests conducted by air conduction (via earphones over or in the ear canals) and via bone conductor placed on the mastoid. 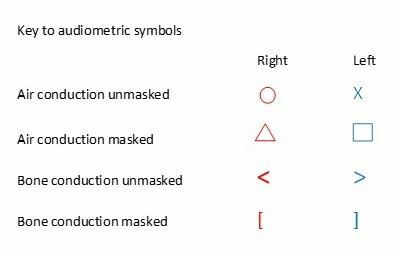 Immittance measures (tympanometry and acoustic reflexes will not show normal results in the presence of conductive hearing disorders. Audiological assessments provide indications of the site of disorder. Specialist medical practitioners will combine the audiological assessment findings with other investigations to determine a cause and if any medical or surgical intervention is indicated. Sensorineural hearing loss is almost always permanent and can vary significantly in degree. In many cases, other than those that are mild, sensorineural hearing loss prevents fine discrimination between sounds and many with sensorineural hearing loss complain of poor clarity of sound. Hearing devices are of benefit in amplifying sound but for many with sensorineural hearing loss, adjustments to communication and learning to optimise the environment for best communication will be needed. Children who have sensorineural hearing loss will require hearing devices, assistance with learning in the school environment and assistance with aquiring spoken language. 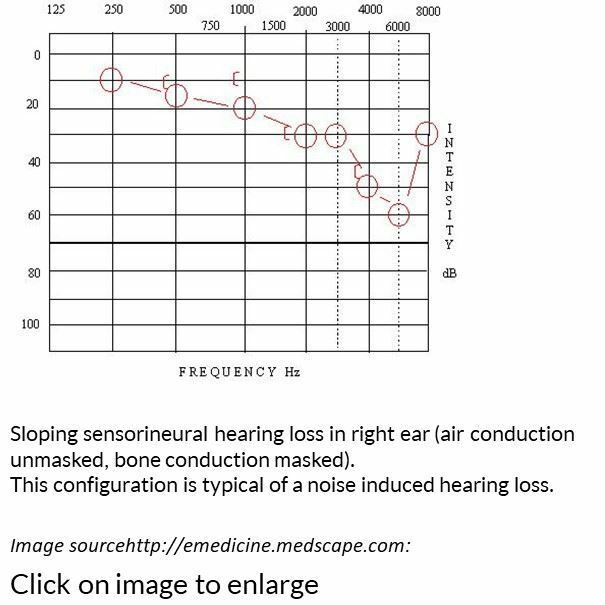 Sensorineural hearing loss will present as a loss of hearing in both air and bone conduction hearing thresholds, whereby air and bone conduction results will be superimposed on each other., within 10 dB. 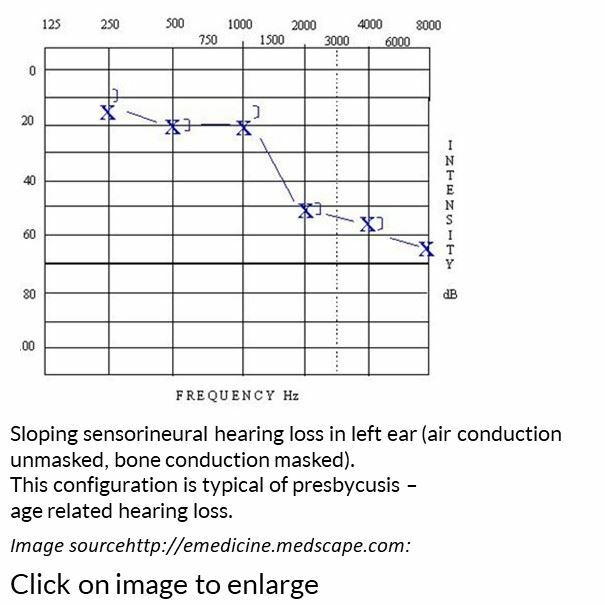 Immittance measures will indicate normal middle ear function, but acoustic reflexes may not be detected if the loss is of moderate degree or worse. Speech discrimination ability may be reduced relative to those with normal hearing, when tested. 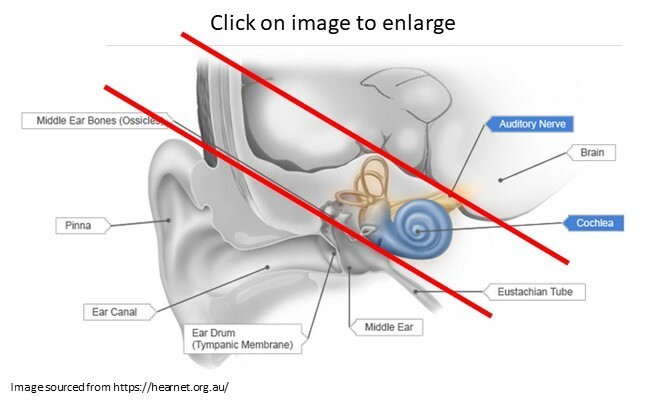 Amplification in the form of hearing devices will be beneficial but if not optimal, cochlear implants may be considered. Counselling and communication training are necessary adjuncts to using amplification. Medical specialists will use the results of audiological assessments combined with other measures to diagnose a specific cause. 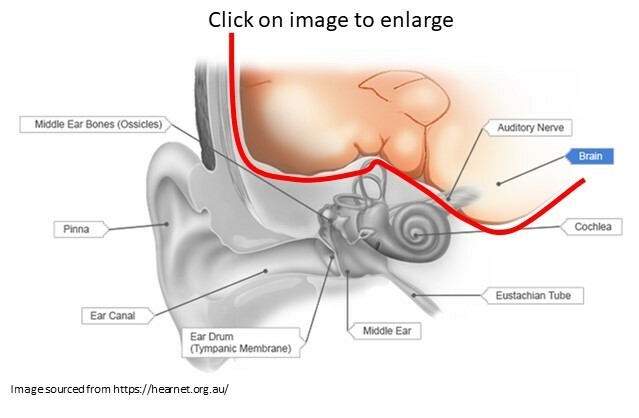 In many cases the exact cause of a permanent sensorineural hearing loss is never identified and is not medically or surgically treatable, leaving the diagnosis and intervention as the primary responsibility of the audiologist. Central auditory processing disorders affect listening. Hearing sensitivity may not be affected, but the ability to differentiate between sounds, recognise sounds and filter out wanted sounds (such as speech) from unwanted sounds (such as background noise). Children with auditory processing disorders may present with language delays, learning and literacy difficulties, attention deficits and/or poor social skills. A basic hearing test may indicate that hearing ability is within normal limits. Hearing thresholds for pure tones may be normal and middle ear function as shown on immittance measures would not detect any abnormalities. Advanced assessments of auditory processing ability sometimes combined with electrophysiological measures (brainstem and/or cortical responses) will aid the diagnosis of auditory processing disorder. Audiologists conduct the audiological assessment and work in teams typically comprised of Speech Pathologists, Occupational Therapists and Neuropsychologists when diagnosing auditory processing disorders. Diagnosis may require a multidisciplinary team. Mixed hearing disorders arise from a combination of conductive, sensorineural and auditory processing disorders. They can result from co-morbidity of underlying conditions or there may be a causal effect such that a longstanding conductive hearing loss can result in auditory processing difficulties. Audiological assessment will show mixed results. 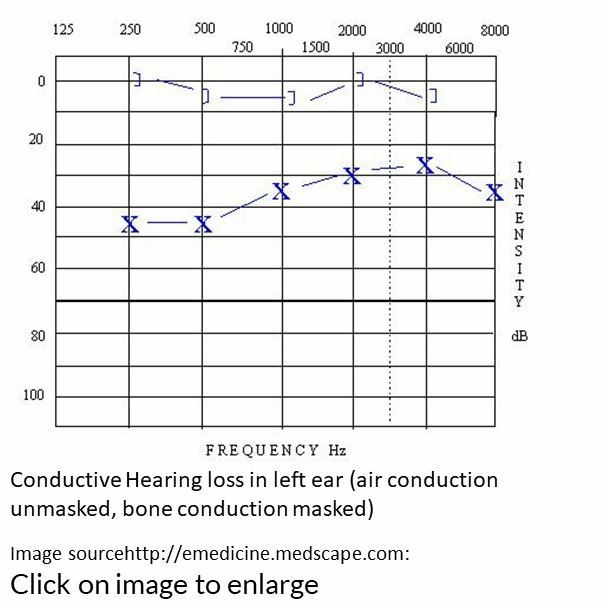 In the case of a conductive and sensorineural component, hearing thresholds will be elevated for both air and bone conduction tests, but air conduction results will be significantly more elevated than the bone conduction results. In that case, middle ear function will not be normal on immittance measures. With other combinations such as conductive hearing loss and auditory processing disorder, the audiological test results are less predictable and will need each interpretation in light of all findings. Causal relationship between auditory deprivation caused by peripheral hearing loss causing an effect on auditory processing. Diagnosis may require a multidisciplinary team if a central component is involved. 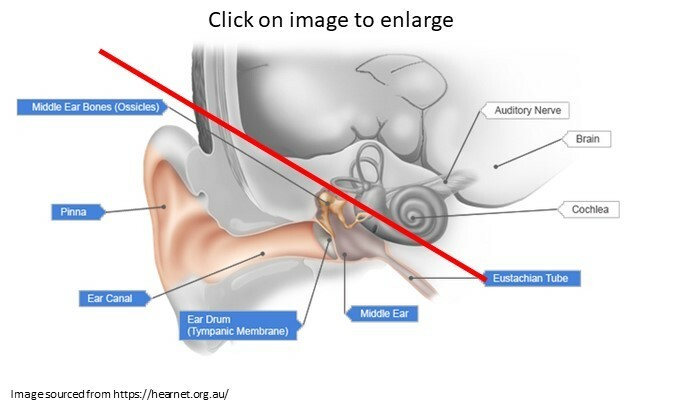 Most commonly mixed hearing losses occur when a permanent sensorineural hearing loss is superimosed by a conductive element - which could be due to wax occcluding the ear canal, middle ear pathology or other cause of outer or middle ear dysfunction.